This beautifully produced DVD covers detailed muscle energy techniques for the neck, general shoulder techniques, and specific treatments for the thoracic vertebrae and the ribs. Learn classic orthopedic assessment techniques for the neck, shoulder and elbow, ankle, knee, hip and spine. Lavishly produced and filled with beautiful 3-D animations that show exactly which structures are involved. A continuation of Beginning Myofascial Release, this video explores advanced Myofascial Release techniques to balance each area of the body. This video will show you how to evaluate postural distortions, and use Myofascial Release to bring the body into balance. This four hour DVD covers 21 assessment techniques for the nerves and surrounding structures of the back, pelvis, and legs. The advanced nerve tension tests will allow the therapist to precisely evaluate the sciatic, tibial, peroneal, and sural nerves to discover exactly where they are impinged. Discover how cranial work can enhance your practice. This wonderful DVD will show you how to balance each of the cranial bones and sacrum using 22 varied techniques. Divided into 13 lessons, each lesson focuses on a different bone or aspect of cranial technique. Rejuvenate your mind, body and spirit with this classic Tai Chi sequence. Let master Chao Pang gently guide you through the Short Yang form, revealing the secrets of the inner aspects of Tai Chi by applying modern anatomical knowledge to this ancient art. Vital information that every therapist should know! Learn the function and anatomy of each system, corresponding diseases and disorders, & examples of bodywork techniques that affect each system. Journey through the skeletal, circulatory, lymphatic, nervous and muscular systems. Live CPD under 30 mins. Covers the basic anatomy of the joint and the disc, reviews the TMJ movement and considers the basic TMJ problems you may see clinically. Muscle Energy Technique is one of the most effective and gentle manual techniques for the correction of somatic dysfunction. the most detailed instruction on the how to quickly and accurately find over 390+ of most commonly used acupoints on a live model. Explore the magic of Myofascial Release in this beautiful 75-minute video. Myofascial Release is an excellent tool to help free restrictions, increase range of motion and balance structural distortions. You will learn to evaluate the eighteen tender spots that are the diagnosis for Fibromyalgia, as well as massage sessions for sleep, pain and headaches. React both to the successes and failures of your current practice. Keep an open mind to both evidence-based practice & empirical data which may not yet have been researched. Review your clinical decision making processes and assess their respective outcomes to see if you are making the difference you want. Research the current literature and explore with world of continuing professional development. Consider what others may be doing. Rethink your treatment approach to see if you can better yourself. Then start it all over again. 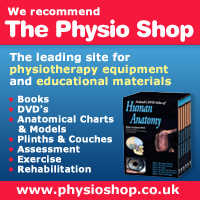 Copyright © 2019 Physiolive - Your Online Physiotherapy streaming media channel from Performance Physio ® All Rights Reserved.